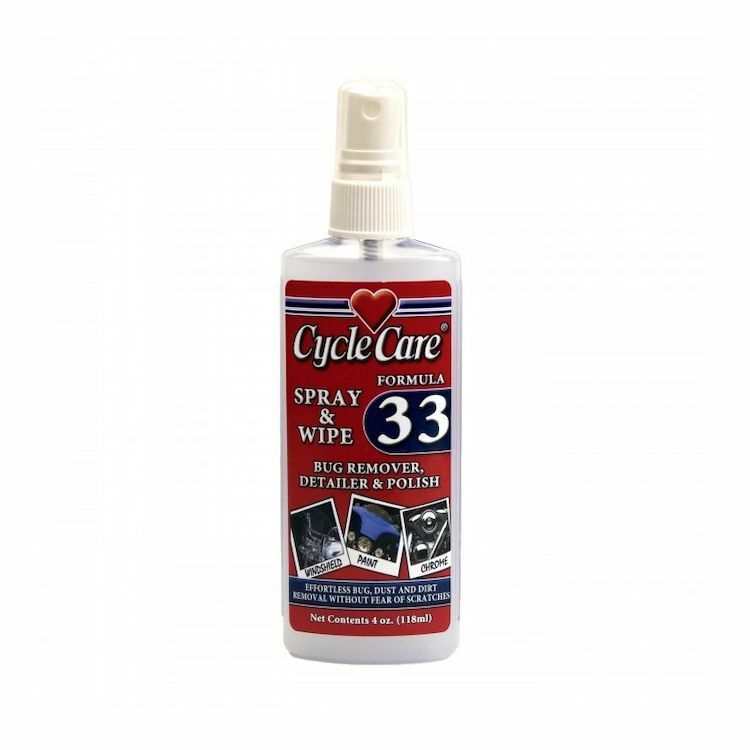 Cycle Care Formula 33 is designed to be used as a quick-fix or touch-up on all surfaces that would normally or previously be protected by Cycle Care Formula 3, and is great for touring touch-ups. (Note: Previous Formula 3 application not required, but recommended). Formula 33 helps provide protection from UV rays, acid rain, and dirt accumulation. It will also polish and remove bugs, road tar, and road film from your windscreen, paint (clear coat), and chrome. Formula 33 is non-streaking and will provide protection, as well as provide a water repellent shine, but it will not harm any surface including pin stripping, custom paint, or murals.